Welcome to Fleet 5, home of the Rhodes 19 class in Marblehead, Massachusetts. Fleet 5 is the largest R19 fleet in the country, and also the largest active one design fleet in Marblehead. 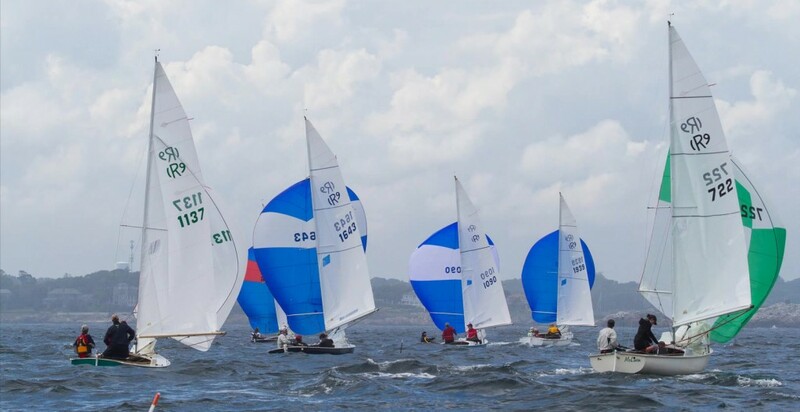 We race from Memorial Day through September in racing that includes ultra-competitive Saturdays as well as low-pressure, no-spinnaker Thursday nights. 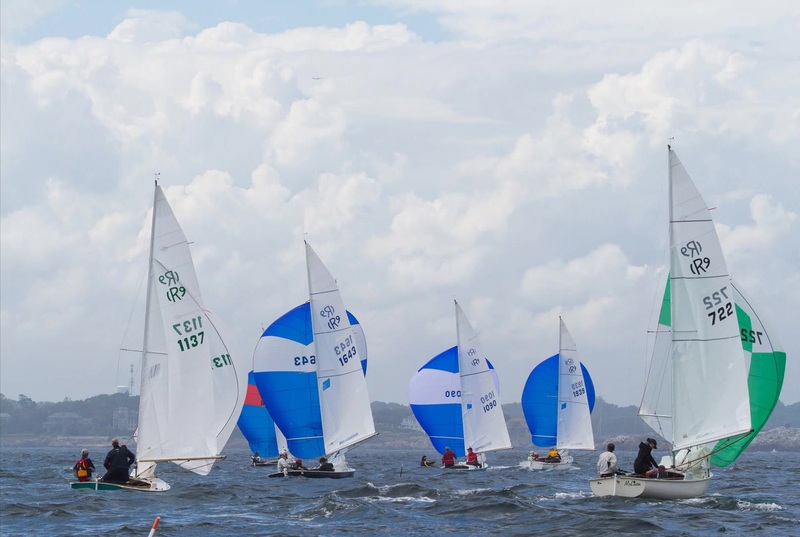 Our members range from recent college sailors to parents racing with their kids. Some sail with two and others with three, and many of our most competitive boats are husband-wife teams. Most importantly, Fleet 5 is a friendly, welcoming group who enjoy each other as much as the racing. Join us. Let us know how we can help. Our latest updates, including the “Road to the Cup” and the newsletter, are available in the news section. The rest of the site contains useful links including calendar, results, tips and more. What’s special about the Rhodes 19? The R19 has flourished for more than 40 years for three reasons; it’s moderately priced, it’s a terrific family boat, and it’s a competitive one-design racer, supported by a strong national class organization. Put them together and you’ll understand why the Rhodes 19 is so popular. Fleet 5 of the Rhodes 19 class races out of Marblehead, Massachusetts. The racing series encompasses nearly every Saturday from May through September. In addition, we have evening races on Thursday nights during the summer. Most importantly, the members of Fleet 5 are very welcoming in all ways. Whether you are interested in crewing, or buying a boat, or day sailing, let us know! We’d love to get you involved in the Fleet.